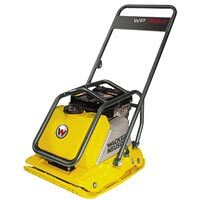 The WP premium plate series feature a patented computer designed base plate that has a tapered bottom and edges for high speed and excellent maneuverability. Designed for the compaction of granular, mixed materials with some cohesive content. Water tank models are available for asphalt applications. Thees plates have set the standard for performance and durability in confined areas such as parking lots, highway and bridge construction, next to structures, curbs and abutments. 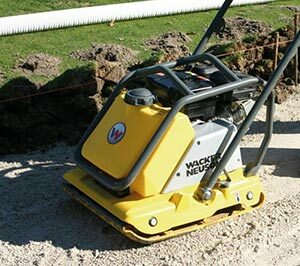 WP plates are also popular for landscape applications for subbase and paver compaction. Engine Type: air-cooled, 4 cycle single cylinder, gasoline engine. from engine via centrifugal clutch and V-belt onto exciter which transmits centrifugal force onto baseplate.